David Liddle and members of the TCM team are regularly invited to give keynote speeches and run workshops at conferences. This page contains details of just a few of them. As founder and CEO of The TCM Group, David Liddle is known internationally as a top-rated keynote speaker, dispute resolution specialist, innovative business thinker, disruptor and thought leader. With 20+ years of experience he knows first-hand the challenges of maintaining an engaged workforce and growing a business in these rapidly-changing times. David has advised leaders from companies as diverse as Royal Mail, HSBC, United Nations, Arcadia, Bloomberg, HMRC, Capgemini and Public health England. He is an author of Managing Conflict: A Practical Guide to Resolution in the Workplace, which highlights his commitment to working with clients to find and deliver on opportunities for resolution and development. 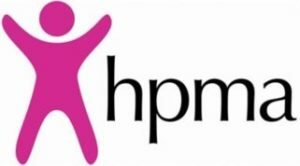 TCM have been invited to deliver a half day workshop as part of the HMPA’s Enhancing Technical Knowledge Series for HR and OD practitioners. Summary: Organisations are spending more time, more money and more energy responding to complaints, grievances, allegations of bullying, harassment or discrimination, inappropriate behaviour, misconduct or fraud. Complex employment and equalities legislation mean that organisations are required to have a structured approach to employment relations and workplace issues. Central to this is access to skilled investigators who can undertake an effective investigation, thereby enabling the employer to reach a fair, objective and reasonable outcome. Aim: Reinforce the basics of workplace investigations, Delegates to reflect on their own internal practices and share best practice with others in their professional field. Objectives: A session to enhance awareness and refresh the skills and thought processes required for handling and managing workplace investigations. A chance to think about how organisations handle the divisiveness of the investigation process. Outcome: Your organisation will be able to make an evidence based, fair and objective decision about how to resolve a workplace issue following a fact-finding exercise. Delegates will also understand how to set up and run a workplace investigation in cases where they may be required to commission one. David has been asked to be a guest at Imperial College’s Annual Leadership Masterclass. The Leadership Masterclass is planned as a lunch event and consists of alumni of various leadership and management development programmes, management trainees and HR colleagues. The participants will benefit from David’s knowledge and experience in shifting their mindset from grievance to resolution and understanding the managers’ role in tackling workplace conflict in a proactive and healthy way. David’s event will be a mix of output and interactivity with participants leaving with a greater understanding of conflict and its impact in the workplace. The anatomy and the life-cycle of a conflict. Managing conflict and change: lessons from neuroscience and positive psychology. Why is leadership so effing hard? Dealing with the ‘F words’ of the modern organisation. Forget IQ. Leadership is all about emotional, social and conversational intelligence. How the AIR created by our leaders directly impacts on the culture of our organisations. Transforming dysfunctional conflict into functional dialogue – the 3 skills that every leader needs to take the grief our of a grievance. We are delighted to have been invited to speak at the NHSi conference. Our workshops, run by Johanna Whelehan, will place a real focus on practical and sustainable solutions to tackling Bullying and Harassment using a proactive conflict resolution approach. Learn how NHS organisations as well as companies like HSBC, Tesco, BA, Lloyds Bank, Royal Mail and Network Rail are introducing radical new approaches for tackling bullying and harassment at work – including case studies. Understand why line managers get conflict management so wrong and what can be done to make them the best mediators your organisation has. Learn how to make more use of conflict early warning systems and early resolution processes to tackle grievances, bullying and harassment. Feel confident to develop and implement board level behaviour and competencies frameworks. David Liddle has been invited to deliver a seminar at the MoD alongside The IAM in March. The event is themed around the article The 10 Top Skills That Will Land You High-Paying Jobs by 2020, According to the World Economic Forum’. The IAM’s session is focusing on what these skills look like as well as an introductory session on problem solving. David’s session will link it to negotiating and emotional intelligence and will focus on examining the neuroscience of conflict and the importance of emotional intelligence and positive psychology for managing conflict effectively. The causes, costs and consequences of conflict. Psychology and neuroscience of conflict and conflict resolution. Good or bad conflict – It’s your choice! Developing systems and behaviours that promote constructive conflict. 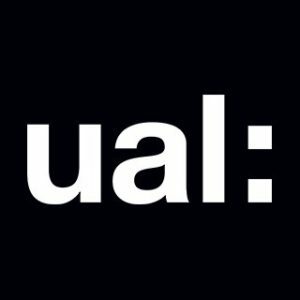 The UAL have invited David to come along to their The OEA Well-being Experience Conference to deliver a session on ‘Hard talk – fair outcomes’. Principled negotiation – securing win/win outcomes. During the session, David will be encouraging people to share personal experiences of difficult conversations and conflict that they may have experienced. 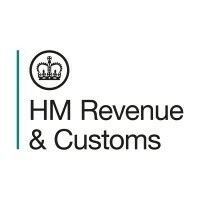 David will be delivering his renowned ‘Managing Conflict Masterclass’ at the HMRC in December. The masterclass examines conflict resolution, based on David’s 20+ years’ experience in mediation and thought leadership. The masterclass also explores especially selected topics and case studies included in his book, giving you the perfect introduction to managing conflict in the workplace. To provide delegates with an overview of the causes, the costs and the consequences of conflict. To examine the neuroscience of conflict and the importance of emotional intelligence and positive psychology for managing conflict effectively. To critique the traditional approaches for managing conflict at work and to examine why the traditional approaches are systematically failing to secure outcomes which deliver business or human benefits. To explore alternative remedies for managing conflict at work including the development of a Resolution Policy. To set conflict management within a legal, moral and business context. To explain the wide range of interventions that organisations will be able to access in the future to deliver constructive and sustainable outcomes to conflict. To give delegates the confidence, the competence and the courage to embed a progressive approach for managing conflict which works within their HR, ER, management and leadership functions. 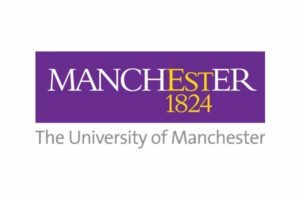 David will be delivering his renowned ‘Managing Conflict Masterclass’ at the University of Manchester in December. 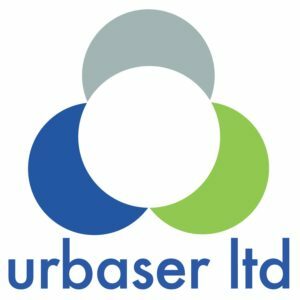 David will be delivering his renowned ‘Managing Conflict Masterclass’ at Urbaser in November. CIPD have invited David to come along to their evening in November to present a ‘mediation mock-up’. 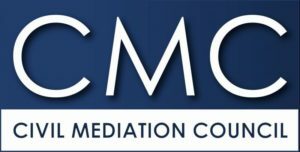 The objective is to demonstrate the FAIR Mediation Process™ and the skills and qualities of the mediator via a live demonstration. This demonstration will utilise a forum theatre role play method. Forum theatre is a popular way of showcasing key skills and immersing the audience into the experience. The demonstration will highlight the key stages of the mediation process with opportunities for the audience to input into the process and engage in round table and plenary discussions. The audience will be encouraged to record key learning points in a learning log during the demonstration. 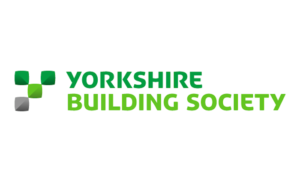 David will be delivering his renowned ‘Managing Conflict Masterclass’ at Yorkshire Building Society in November. Following on from the previous successes of David’s events, he has been invited to speak this CIPD’s event on “Taking the Grief out of Grievance” in November. To explore the limitations of the traditional grievance and anti-bullying procedures. To consider new approaches for managing conflict including resolution triage assessments, early resolution meetings, mediation and facilitated conversations. To examine the role, impact and implementation of The TCM Resolution Policy™. To explore systemic, cultural and behavioural factors related to The TCM Model Resolution Policy™. To consider how HR, Managers and Employees can work together to promote a healthy, co-operative and constructive workplace culture. The problem with traditional grievance and anti-bullying procedures. 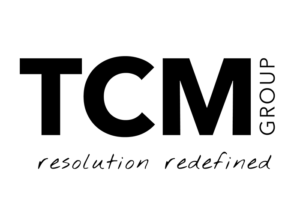 Introducing the TCM Model Resolution Policy™. The process, benefits and practical applications of mediation. The role of the triumvirate: HR, Managers and Employees. 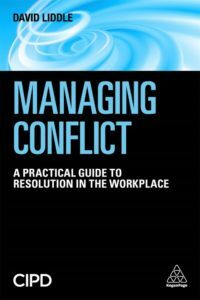 Practical tools and techniques for managing conflict at work. Question and answers (conflict clinic). David will be running an Internal Mediation Scheme Co-ordinators workshop for clients who have their own mediation schemes embedded within their organisations. 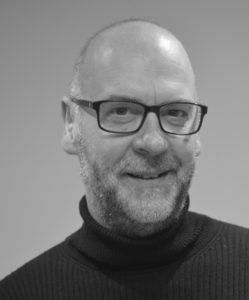 The session will focus on the building, running and evaluation of your scheme plus David will be sharing some helpful tips and insights that he has learned in his 20 years of running his very own mediation business. This session will include an exclusive insight to TCM’s new Customer Zone™. The Metropolitan Police Service are hosting their first Managing Conflict and Sharing Solutions Conference in October 2018. The conference is free and a fantastic opportunity to network and share knowledge via active discussion to identify best practices to minimise risk and successfully reduce disputes. David will be one of the keynote speakers at this amazing event where he will be speaking about Routes to Resolution: person centred, values-based resolution processes as well as delivering workshops throughout the day. Generate new ideas to make inclusion an everyday reality. This year David has been invited to host a session in Leeds on how to effectively manage grievances, mediation as well as being a servant leader. This year David has been invited to host a session in London on how to effectively manage grievances, mediation as well as being a servant leader. In 2015, London Ambulance Service (LAS) became the first ambulance trust to be placed in special measures by the Care Quality Commission (CQC) where concerns were raised about bullying and harassment. The trust took immediate action and recruited a bullying and harassment specialist, nominated a non-executive director sponsor and setup an HR and OD committee. They introduced Bullying and Harassment Awareness Workshops to equip employees with practical tools to help make the workplace more respectful as well as commissioning TCM to train 50+ members of staff to become facilitators of Round Table Sessions. Since the training, LAS has seen an increase in dialogue at all levels within the organisation. Following on from the findings in 2015 and the successes of the Round Table Sessions, the London Ambulance Service are running a Bullying and Harassment Conference in London. They have invited David to speak at the conference firstly, to talk about Mediation: Why it Works and secondly around MeToo: Exploring Restorative Justice in working with sexual harassment allegations. David will be collaborating with the ILM on their webinar: Collaboration: Dealing with Conflict. Conflict may occur in a group of people working together, even if they all share a common goal, measurable targets and a clear vision. Many leaders try to avoid conflict at all costs and when it arises tend to manage disagreements inappropriately. Dealing with conflict constructively can lead to increased productivity, new ideas being generated and personal development for all team members. Bullying and Sexual Harassment: Can Mediation Help? ACAS recently revealed that bullying and harassment in the workplace is costing employers up to £18bn per year. An impact on workplace morale and productivity has been felt by nearly 75% of workers. Harassment in the workplace has never had a higher priority than it does now, with many employers introducing measures expressly designed to encourage the reporting of potentially inappropriate behaviours. How will you handle such a complaint? Join David and others for an in-depth and interactive look at the resolution of confrontational and high-profile allegations and hear about alternative options for addressing them swiftly and discreetly in the way least damaging to both the business and the people concerned. 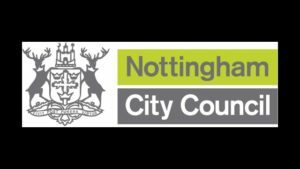 David will be delivering his renowned ‘Managing Conflict Masterclass’ at Nottingham City Council in June. 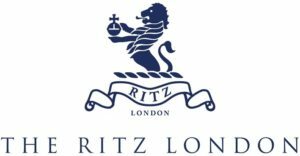 David will be delivering his renowned ‘Managing Conflict Masterclass’ at The Ritz Hotel, London in June. David will be running an Internal Mediation Scheme Coordinators workshop for clients who have their own mediation schemes embedded within their organisations. 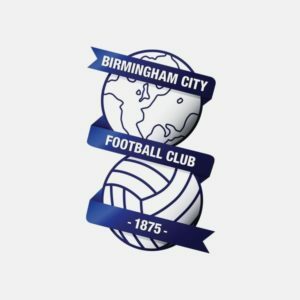 David will be delivering his renowned ‘Managing Conflict Masterclass’ in conjunction with Birmingham City Football Club in May. David will be delivering his renowned ‘Managing Conflict Masterclass’ at East Lanc NHS in April. 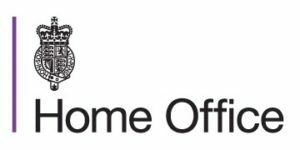 Moped crime, acid attacks and the very latest in crime fighting technology are among the key topics being discussed by experts at this sold-out conference organised by the Home Office-funded National Business Crime Centre (NBCC) on Monday, 12 March in London. How the Health & Safety Executive sees the impact of violence at work. David has been invited to be a panellist at the Swedish Parliament in November at a meeting hosted by The Swedish Institute for Mediation (SIM), solely based on mediation. David will be presenting to all the Swedish MP’s, numerous distinguished professionals in the insurance business, representatives from some large organisations as well as many other “ambassadors” for the “Resolution Revolution”. And of course, the media! 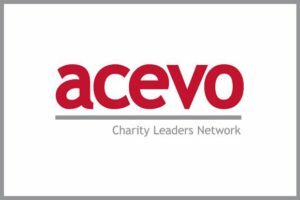 David has been invited to speak at ACEVO’s Dynamic Duo event in November. This is a seminar for charity CEO’s and Chairs to come together which is run in partnership with the Association of Chairs. David has been asked to speak to the delegates on how to encourage positive conversations at work, developing constructive relationships between the Chair and CEO, TCM’s new approach for resolving disputes and when to bring in mediation/coaching. This will be an interactive session where delegates will be required to do some group work and will be encouraged to share their thoughts too. David will be doing a presentation at this year’s conference on his new book – MANAGING CONFLICT. A practical guide to resolution in the workplace which has been published jointly by Kogan Page and the CIPD. Conflict in the workplace is a perennial problem for organizations. Whether it’s a disagreement between colleagues, a dispute with management or large-scale industrial action, conflict negatively affects both people and profits as employee morale and productivity fall. 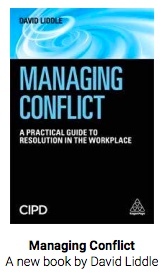 Endorsed by the CIPD, Managing Conflict is an essential guide for HR professionals needing to tackle these problems by not only resolving current issues, but also preventing future instances of conflict. Going beyond interpersonal conflict, the book also looks at resolving board room disputes, disputes with shareholders, in the supply chain, commercial disputes and customer complaints. 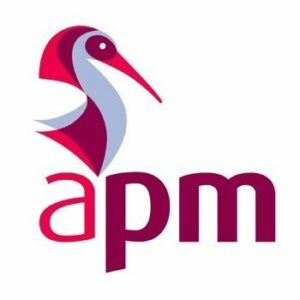 The APM are holding their annual North West conference in October. This interactive workshop has been designed by a leading business mediator, David Liddle, to help APM members secure constructive and lasting outcomes to conflicts and disputes. The workshop will explore the common mistakes that many of us make when we are handling conflict with a work colleague or manager, within project teams, or with customers. Being too remote – emotionally and physically. During this workshop, David will set out some simple and practical tools that will help you to get the best from a challenging conflict or a divisive dispute. He will also explore how many leaders are now designing constructive conflict management into their project plans and change management processes. The session will be interactive with time included for a conflict clinic. David will invite participants to submit questions during the session – so get thinking! David has been invited to speak the Farnborough and Camberley Group CIPD on “Taking the Grief out of Grievance” in September. David’s workshop has become very successful and will be speaking at numerous other events over the coming months. David’s new book – MANAGING CONFLICT. A practical guide to resolution in the workplace which is being published jointly by Kogan Page and the CIPD will be launching at The Ritz on September 25th. Following the recent UK Supreme Court ruling regarding the unlawful and discriminatory nature of the 2013 employment tribunal reforms, a new approach for managing conflict has never been needed more. One thing is for certain, the current system for resolving workplace disputes is broken and there is little point simply trying to paper over the cracks. It is time for a Resolution Revolution! 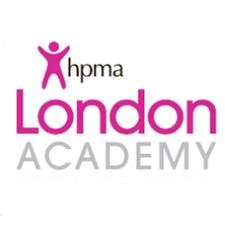 David will be offering a taster session on Facilitated Conversations to members at HPMA. 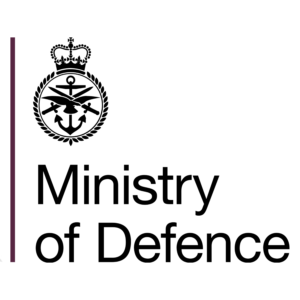 The aim is to support HR practitioners to set up and hold facilitated conversations between individuals who are in dispute or conflict to assist them in de-escalating the situation and finding resolution. 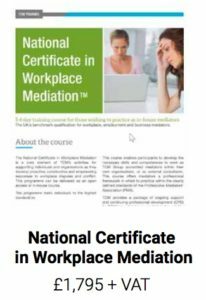 It uses mediation skills but is intended as a stand-alone session for people who have not had mediation skills training as well as those who would like a refresher. Following the session, participants will have skills to facilitate conversations and some may wish to undertake further training. HR professionals who would like to develop the skills required to generate co-operative and sustainable outcomes to difficult situations. Learn how to nip difficult disputes and challenging conflicts in the bud. Develop the 5 key skills used by some of the world ’s leading mediators. Understand how to secure a commitment to a facilitated conversation – from the most hardened sceptic and the most doubtful naysayer. Learn how to set up, manage and close a facilitated conversation. Understand how to manage strong emotions and transform confrontational situations. Recognise how to apply your facilitation skills for managing bullying, grievances and complaints. 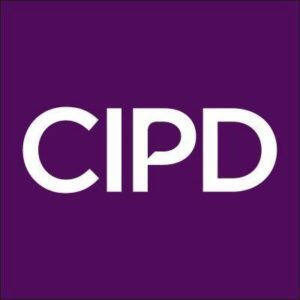 David has been invited to speak at CIPD’s ER Network in London in July on the subject of “is your grievance procedure poisoning your organisation”. The National Works Council (NWC) is a body made up of Representatives from each of our Forums – Infra, AppsOne, Core Services, Aspire, Consulting and Financial Services. The NWC consult on matters which have a universal application across all Business Units. The NWC meets on a bi-monthly basis and is concerned only with issues which impact on or have implications for all employees regardless of which UK Business Unit they work in across the UK. 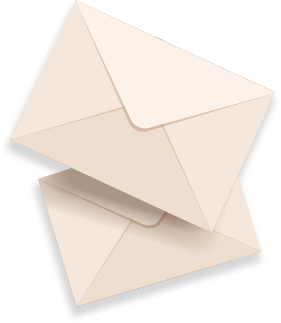 The NWC adopts the same collective consultation approach that works successfully within our Forums. 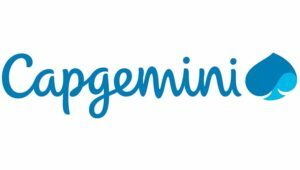 The meetings are attended by Employee Representatives and Management Representatives, namely UK HR Director/Capgemini UK and other management delegates are invited to meetings accordingly. The meetings are chaired by the Employee Representative Chair. The Learning and Development Show is the place to find out about the latest developments and thinking in L&D. The event is a place to discover inspiring thought-leaders, innovative practitioners and expert suppliers and learn the knowledge and skills you need to put learning at the heart of your organisation. David will be speaking in the Learning Arena at 15:05. David will be discussing ‘Why it’s time to take a hard look at soft skills’. Managers worry about complaints and grievances. A reactive culture results in low productivity and engagement and rising levels of litigation. Soft skills must improve. The South Yorkshire and District Branch of CIPD are holding an event at Rotherham United Football ground and have invited David to deliver his session entitled ‘Taking the Grief out of Grievance’ to their members. This is an all-day event with four guest speakers, including David on a variety of HR related subjects for around 70 delegates. As the world changes, so do the demands on modern leadership. Cutting edge leadership development is evolving in an era of complexity and globalisation and the need to develop a sustainable edge is greater than ever. 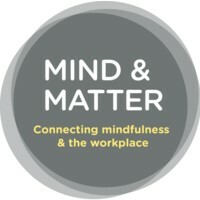 The Mind and Matter Conference 2017 has a great line-up of speakers presenting the latest neuroscience behind mindfulness practice, the results it can achieve for corporations and employees, as well as providing the tools to build a business case for mindfulness programmes in the work place. This interactive workshop has been designed by a leading business mediator, Owen Bubbers, to help APM members secure constructive and lasting outcomes to conflicts and disputes. The workshop will explore the common mistakes that many of us make when we are handling conflict; with a work colleague or manager, within project teams, or with customers. During this workshop, Owen will set out some simple and practical tools that will help you to get the best from a challenging conflict or a divisive dispute. He will also explore how many leaders are now designing constructive conflict management into their project plans and change management processes. 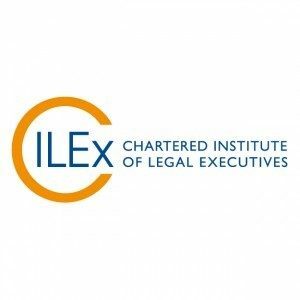 CILEx is the professional body for Chartered Legal Executives, legal practitioner, paralegals and apprentices. Managing conflict: a practical guide. Root causes of workplace conflict and its impact on employee productivity and well-being. The anatomy of a conflict, its states and associated risks or opportunities. Common behaviours and reactions associated with conflict in a workplace. Techniques for conflict resolution and transforming it into valuable outcomes. CIPD Devon and Cornwall hold an annual conference where they have several speakers presenting workshops, interactive sessions and delivering informative presentations. This event offers the opportunity for self-development and networking with like-minded individuals. There will be a selection of professionals, including David, delivering 16 mini seminars, workshops and master classes in Employment Law, Change Management, Leadership, Health and Well-being, Learning and Development and more. CIPD have named this event; The future of Human Resources. As HR professionals the words grievance and conflict are synonymous with a lot of work and effort and very little guarantee of a positive outcome for the individuals involved and consequently the organisation. Just think if there were alternatives to the ‘normal’ formal grievance procedures and an avoidance of the almost inevitable increase in tension within the organisation. Encouraging mediation and other informal approaches offers a radically different approach with much better outcomes. This methodology also is very cost effective, avoiding the heavy input required from managers when trying to resolve conflict or grievances. David takes us through different approaches to conflict resolution in different work areas. He sets out how they inherently bring about better outcomes for the parties involved and for their respective teams and organisations.